Micro Focus Content Manager 9 (CM 9) is an electronic document and records management system (EDRMS), formerly known as HP Records Manager (HP RM8), and before that as HP TRIM or just TRIM. CM 9 is a government-based enterprise content management system designed to help government agencies, regulated industries and global organisations manage their business content from creation to disposal. 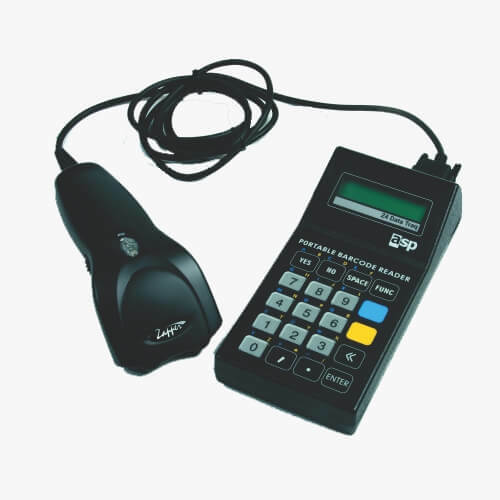 ASP Microcomputers has been providing barcode scanning solutions to CM 9 users since the early ‘90s. 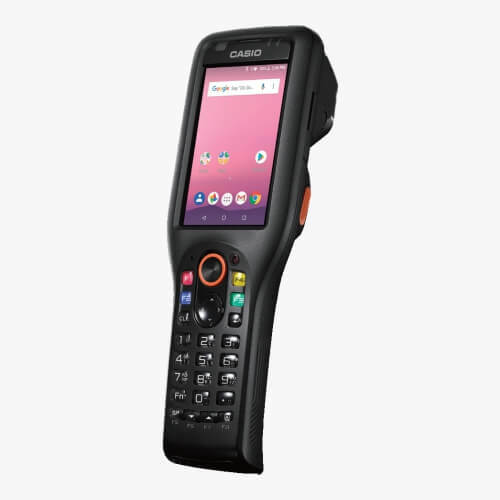 The latest version of our CM 9/RM/TRIM program allows you to manage barcoded records quickly and efficiently with a portable handheld barcode scanner. 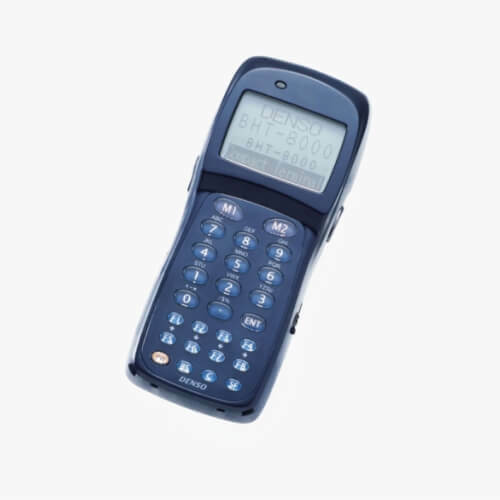 You can move freely around the workplace scanning records and auditing, with the scanner allowing you to select CM 9 Activities from the scanner screen or by scanning barcodes. You then return to a PC and load the collected data into CM 9. 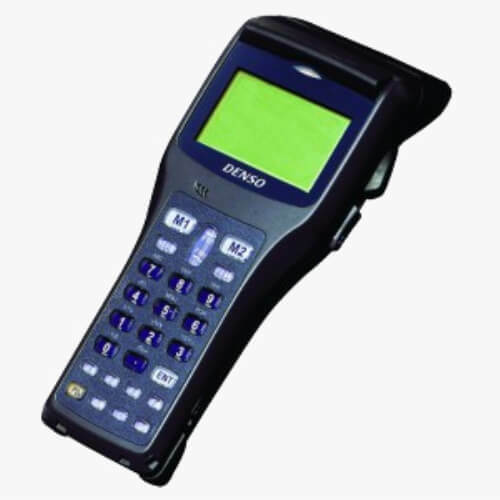 ASP’s CM 9 solution is currently available for the Denso BHT-1500 scanner. 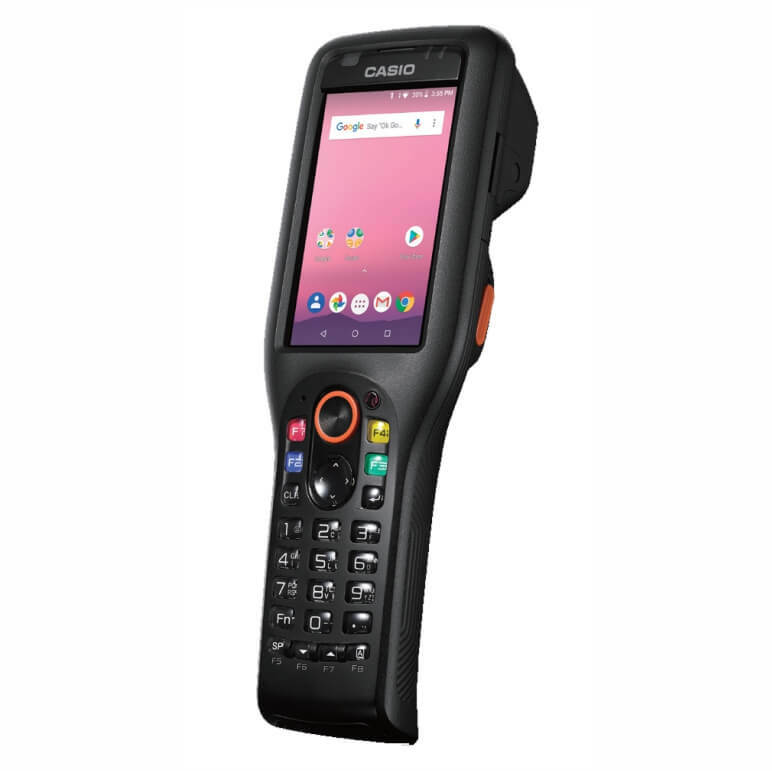 Version 7.2 – The latest version built on version 4.6 plus the added functionality that allows the user to select an Activity from a list on the screen of the scanner, as well as continuing to support Activity barcodes. COMING SOON – An Android Version. 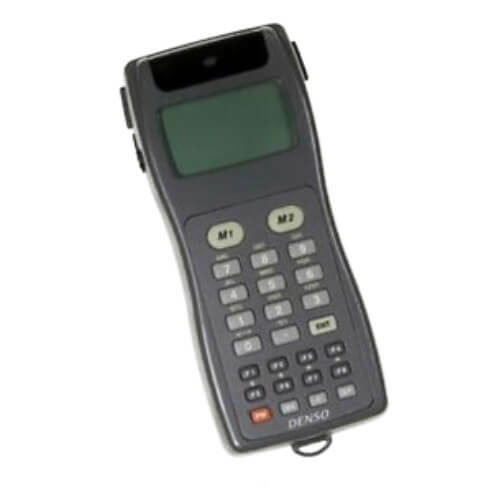 Version 1.0.0.0 – This version was developed around 2015 for Casio scanners DT-X7 and IT-300 having Windows operating systems and is still available and supported however the hardware is end of life. 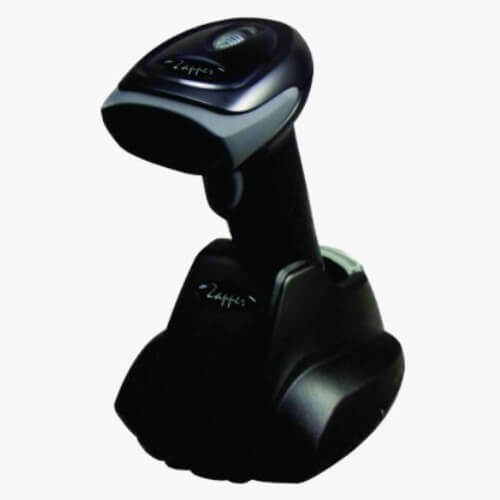 The functionality of the application is identical to the current version 7.2 ie allows the user to select an Activity from a list on the screen of the scanner, as well as continuing to support Activity barcodes. 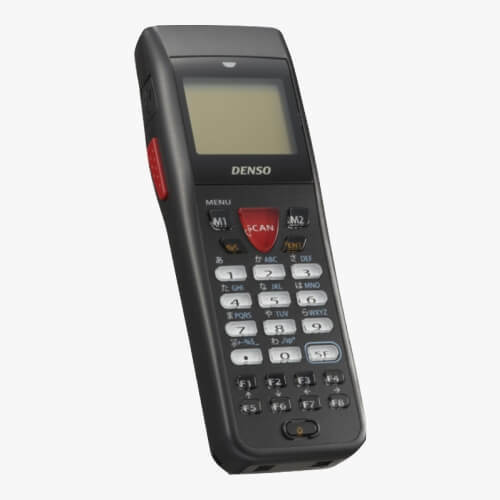 Version 4.6 – Original program going back to the early 90’s when Denso portable scanners started appearing on the market. This version has migrated through various models of the Denso BHT range up to the current BHT 1500. V8 – this version is the original version originally developed in the mid 80’s for the Z4 DataTraq for Tower Software [The founders of TRIM]. This version is no longer supported and the Z4 DateTraq is no longer available for the CM 9 [TRIM solution]. 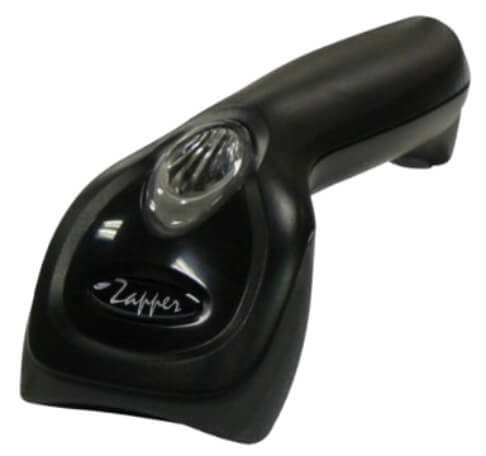 To allow activities to be selected on the screen of the scanner rather than scanned from a barcode sheet, a text file containing the required activities has to be created on the PC and sent to the terminal using the BHT Transfer Utility. 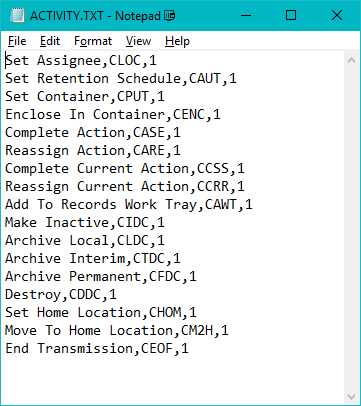 Shown below is an example activity file being edited with Notepad. BHT1500 – 2018 – current. This is the current unit available for CM 9. Coming soon – The first unit with Android OS to be compatible with CM 9 TRIM. BHT900 – Circa 2015 – 2018. Not available as a bundle with CM 9. Some parts may be available for repair. 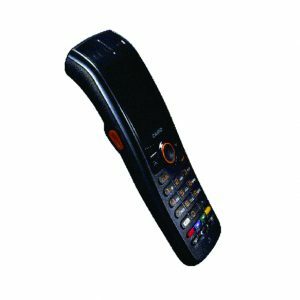 Upgrade path is the BHT1500. IT-300 – 2010 – 2015. 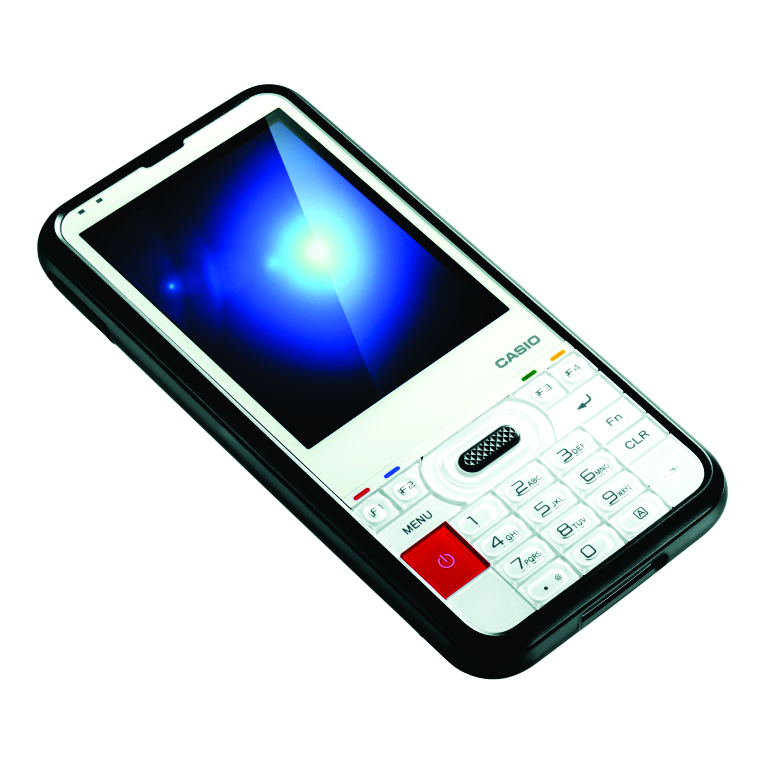 First PDA type unit to be compatible with CM 9 TRIM. Very limited number of new units still available as a bundle or replacement for CM9. Some parts may be available for repair. Upgrade path is the BHT1500. BHT300 – Circa 2005 – 2015. Not available as a bundle with CM 9. Some parts may be available for repair. Rental units available. Upgrade path is the BHT1500. DT-X7 – 2008 – 2015. The first unit with a Windows OS to be compatible with CM 9 TRIM. Very limited number of new units still available as a bundle or replacement for CM 9. Some parts may be available for repair. 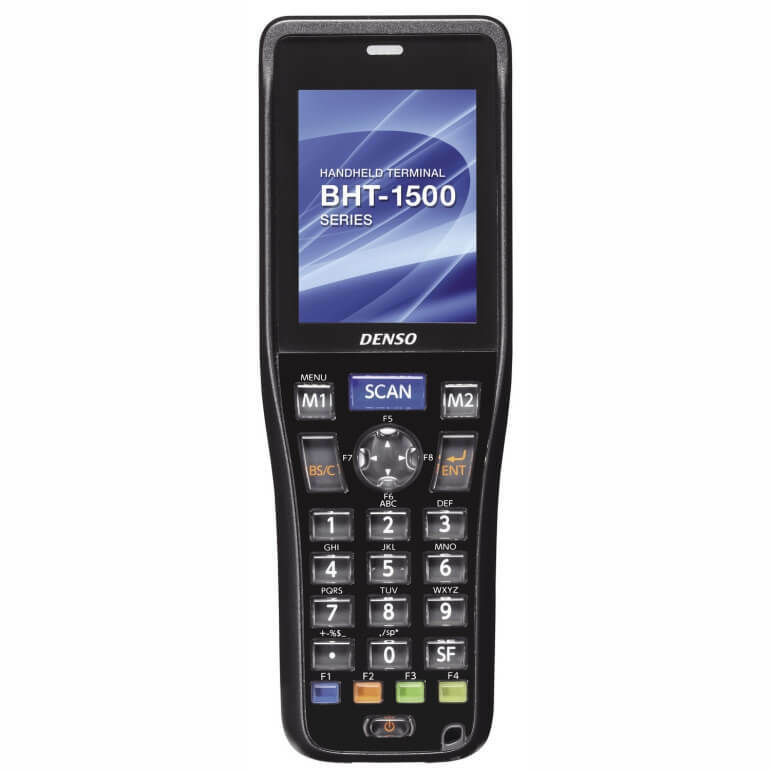 Upgrade path is the BHT1500. 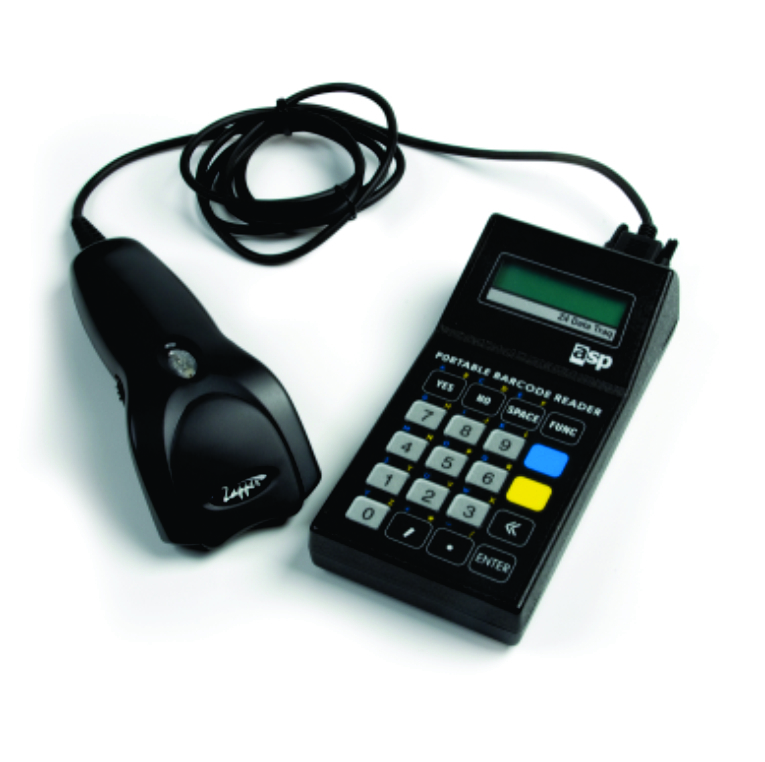 The ASP CM 9 scanner program is tested to the latest version of the CM 9 PC program to ensure ongoing capability. Please note that this is NOT a download link for CM 9 itself – you need to contact HP to get that. This is the download link for a utility that allows our barcode scanner to transfer data to CM 9. 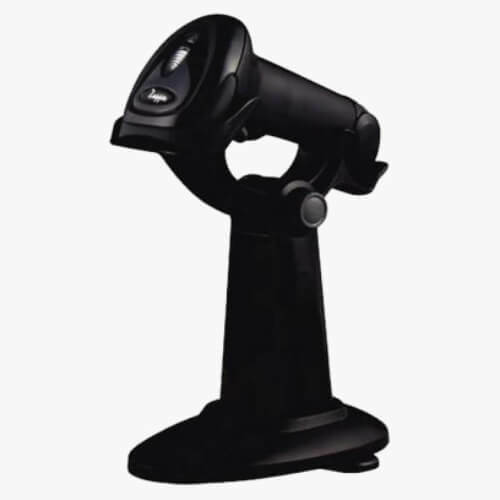 If you haven’t purchased a barcode scanner from ASP that has been loaded with our CM 9 scanner program, downloading this utility won’t do anything at all for you. You will be downloading version 1.02 of HP Record Manager Data Transfer Utility.